Once you have launched your website, you can start to learn more about the traffic you receive to it, including page views and visitor stats. These are all ways to measure the traffic your website receives, or website statistics. In this article, we will go over the standard statistical information that is included in a website analytics report. We will also show you where to find your website’s analytics report. You may have heard of Google Analytics, a website analytics tool by Google. Google Analytics has become the standard in website analytics tools. It is the most commonly used and definitely one of the most robust and powerful analytics tools available. Google Analytics is free and is supported by Website.com. All you need to do is signup for a Google Analytics account and copy and paste the provided tracking URL into your Website.com dashboard. But if you are new to website statistics, the amount of data you get from Google Analytics can be overwhelming. 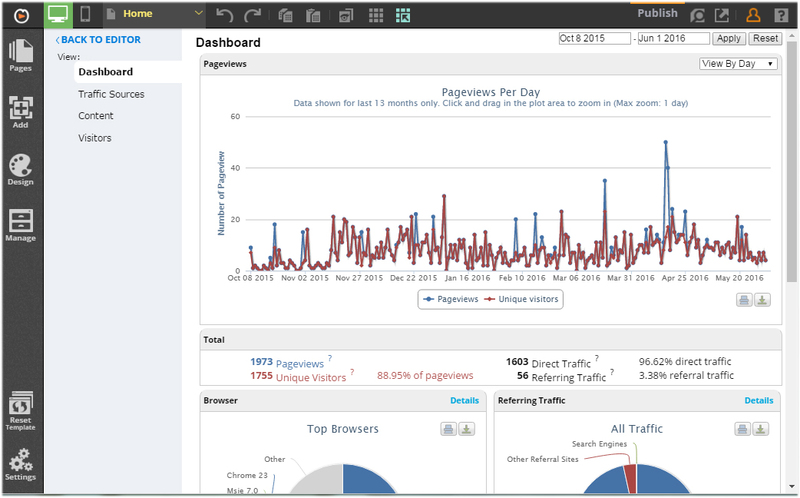 To make it easier for you to track your website statistics, Website.com has a website analytics tool built into your account dashboard. 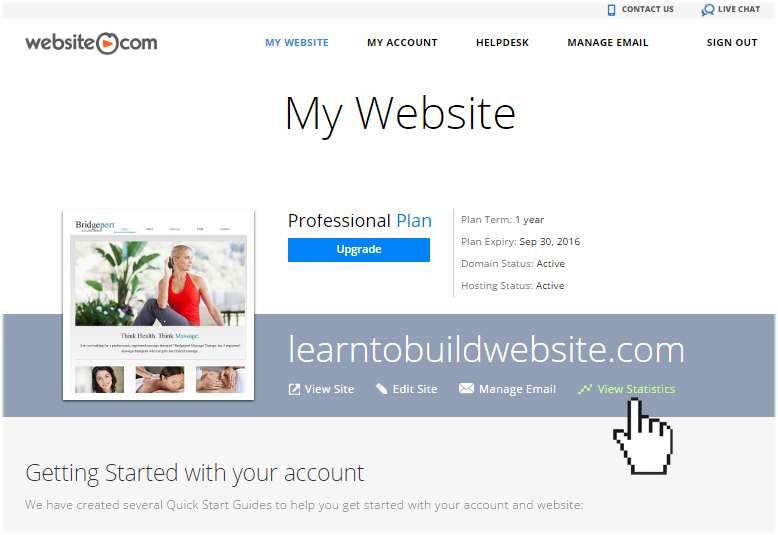 You will find your website analytics tool built into your Website.com account dashboard. While the Website.com Analytics Tools is a simplified version of Google Analytics, it is quite comprehensive data on your site visitors, traffic, page views and other basic website statistics information. Data is collected in real-time and if you prefer, you can print and export your website stats for advanced analytics with a third-party analytics tool. 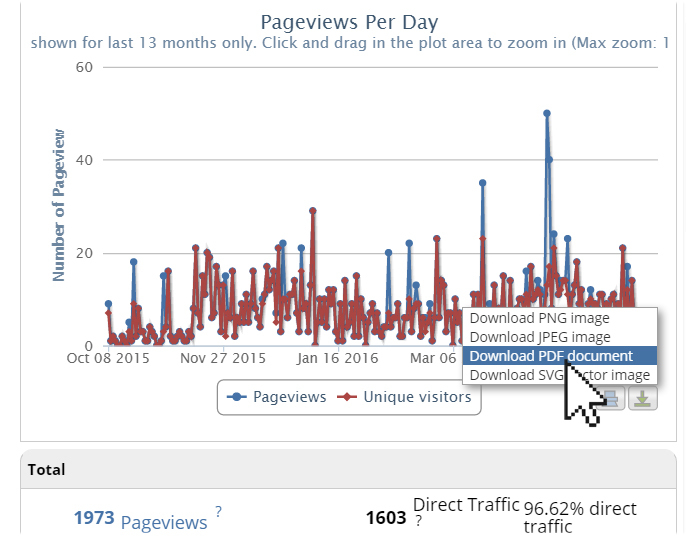 You can go to our online Knowledgebase for more information on your Website.com website analytics tool, including how to generate, export and read your website statistics report.